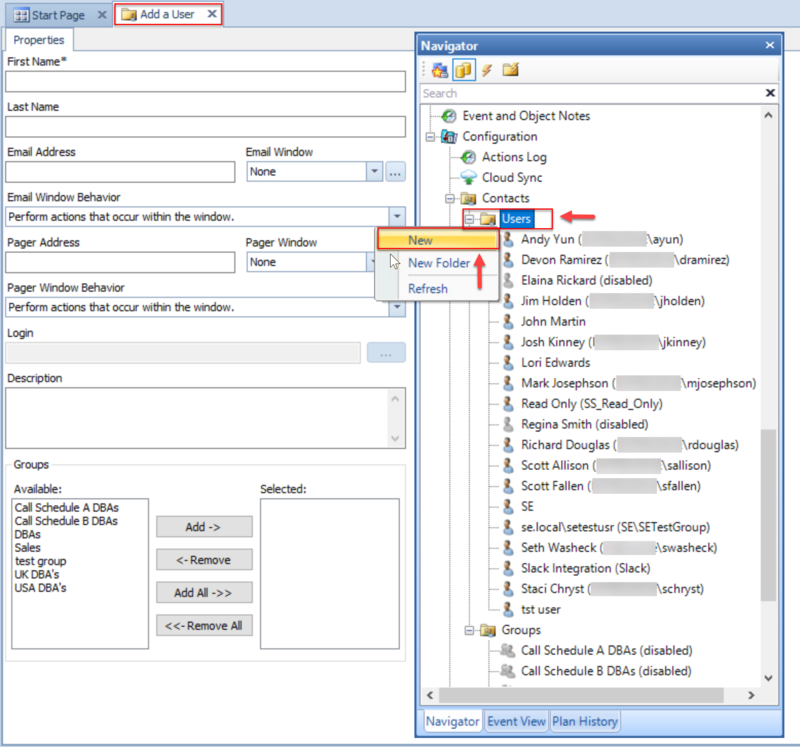 The Contacts node in the Navigator pane contains the Users and Groups sub-nodes. 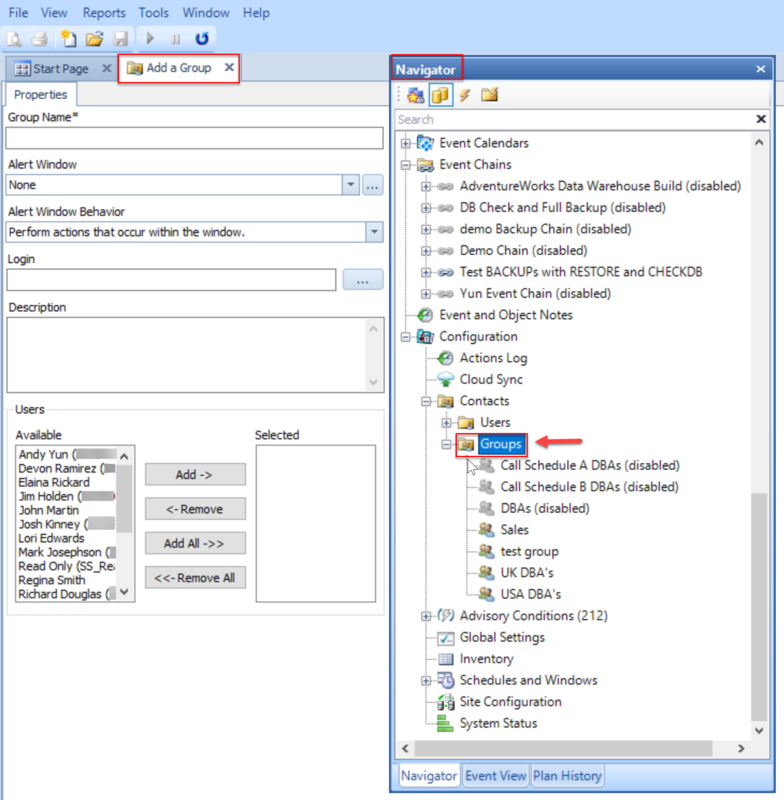 Create and maintain Users and Groups for notification purposes. Note: At least one User is required for SentryOne to send notifications. For notifications, we recommend that you use Groups with nested Users. Double-click the Users node ( Contacts > Users) in the Navigator pane. Right-click the Users node (Contacts > Users) in the Navigator pane, and then select New. 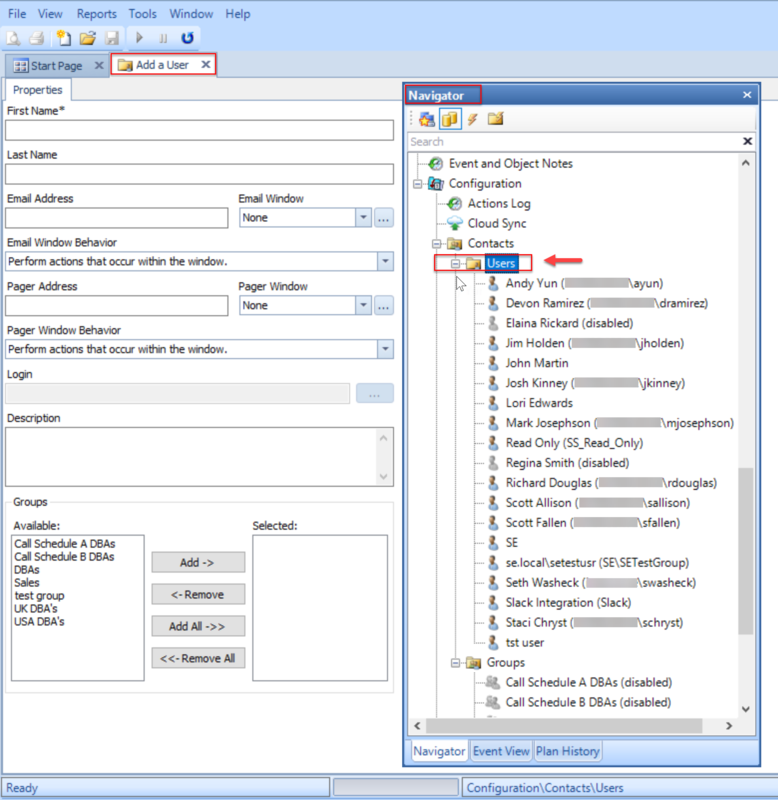 Enter the user's first and last name, email address, optional pager address (SMTP-based), and an optional description in their respective fields. Note: Add as many users and groups as you want at this point. Groups are optional. Select Save once you've finished adding new users. 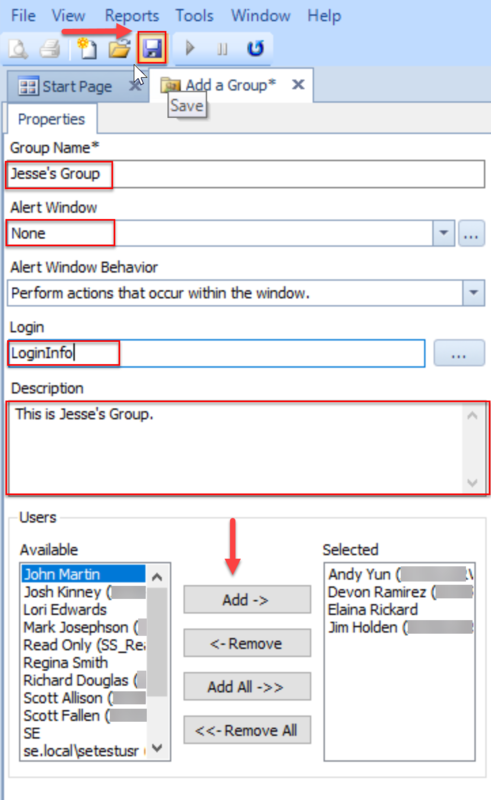 Double-click the Groups node (Contacts > Groups) in the Navigator pane. 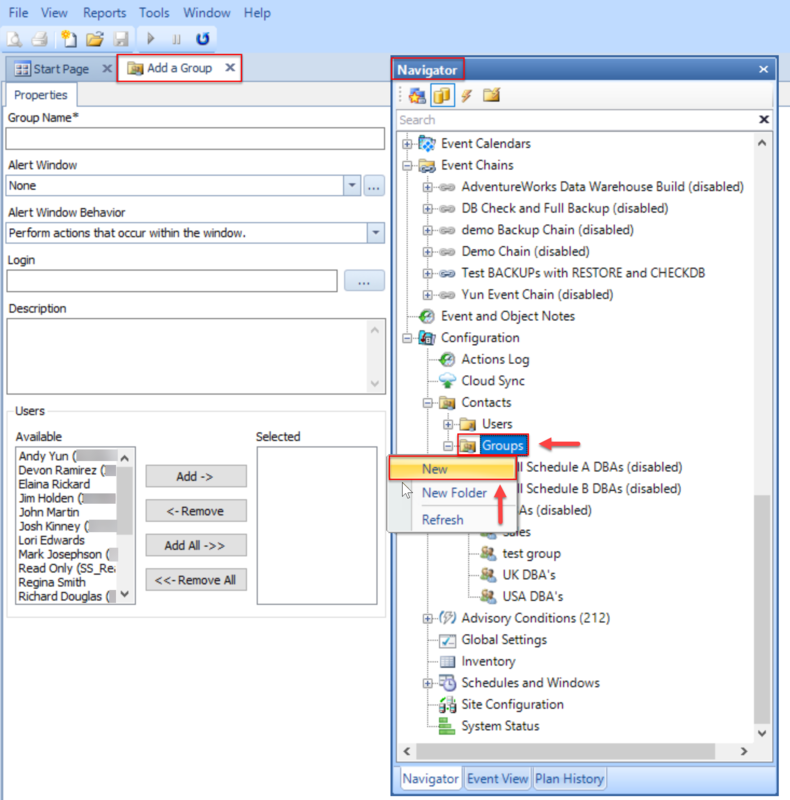 Right-click the Groups node (Contacts > Groups) in the Navigator pane, and then select New. Enter the group's name, login, and an optional description in their respective fields. Add users to the group by selecting the desired user(s) and selecting Add - >, or add all users by selecting Add All - > >. Save the group by selecting Save.